Allison Leahy is director of community at Fitbit, where she helped launch the company’s global community and social support programs. A graduate of Vassar College, Allison kicked off her career as a community builder working to bring non-profit donor development programs online before joining Ning, a platform for creating online communities. She’s an avid cyclist, burgeoning runner and longtime walking enthusiast. 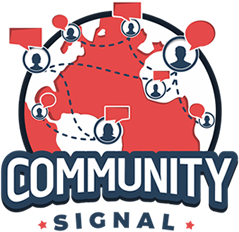 00:04: Welcome to Community Signal, a podcast for online community professionals. Here is your host, Patrick O’Keefe. 00:16 Patrick O’Keefe: Hello, and thank you for joining me on this episode of Community Signal. Our guest today is Allison Leahy. Allison is the director of community at Fitbit where she helped launch the company’s global community and social support programs. A graduate of Vassar College, Allison kicked off her career as a community builder working to build non-profit donor development programs online before joining Ning, a platform for creating online communities. She’s an avid cyclist, burgeoning runner and long-time walking enthusiast. Allison, welcome to the program. 00:43 Allison Leahy: Thank you, Patrick. Great to be here. 00:45 Patrick O’Keefe: It’s so great to have you. Allison, Fitbit was founded in 2007 and it’s not hard to see the potential for connection between users of the product. And yet, there was no community team until you joined in 2013, and subsequently built one. Now, you have a growing team of more than 80 people, and you are responsible for Fitbit’s global community and social support operations. On a daily basis, that’s 2,500 community posts, 24,000 tweets, 7,000 Facebook posts, 1,100 Instagram posts, and 2,000 consumer reviews across eight languages. That is a lot of community content. And I remember meeting you back at the start of 2013, shortly after you had become the community manager at Ning. In just over three years, you’ve gone from that role to community manager at Fitbit to senior community manager to, in March, director of community. And what you’ve done is just really, really impressive. It’s been a pleasure to watch you grow your career. So congrats on that and congrats on the promotion. 01:40 Allison Leahy: Thank you so much. Yeah, it’s really a testament to how fast the community has grown. All of the incredible support we’ve gotten from our partners, whether they’re our platform providers or our ops partners, and all of the passion and energy and enthusiasm that has helped us to grow and really foster these community relationships and raise awareness about the importance and impact of community here at Fitbit. 02:10 Patrick O’Keefe: Toward the end of last year, you took your on domain community from private and requiring a Fitbit login to publicly searchable. This led to a 300% increased traffic and a 175% increase in content. Talking about that transition, why was a private community no longer the answer? 02:26 Allison Leahy: Well, making the community public and open and searchable is something that we had been working towards for actually quite a while. Probably one and a half years after the first pitch to our executive leadership team, we finally got approval to make it happen. And it wasn’t until another six months later where we felt really ready to open our doors. The transition… Managing a project of that scope and especially that level of uncertainty, being that it’s actually pretty rare for a customer community or even the more community managers I talk to, almost any community, to take itself from a relatively mature state. And I say that because we had a lot of members at that time, sustaining members, people coming back, people who knew what the Fitbit community was. But of course, it was under a login, so not a lot of public exposure. 03:22 Allison Leahy: And an uncertainty because although we talked with other community managers, we looked at what the industry standard might be in terms of traffic acquisition from SEO and organic search traffic that we would start seeing in our communities. And much of the answers and response we got was anywhere from 50-70%. But at the time when I was forecasting those numbers, it seemed just epic to me, the amount of growth we’d see almost instantaneously. So we planned for the highest and the fastest growth rate we could, just to ensure that we wouldn’t suddenly lose quality or lose engagement rates. And as a result, it really took us about six months to plan from the green light, sitting down with James and Eric and Hans, our co-founders and COO, to the time when we opened our doors on November 11th. And some of that planning, what it looked like especially, was getting a lot of buy-in from teams across the company, making sure that people knew what to expect, which of course, again, is pretty difficult when you don’t even know really what to expect yourself. But we were able to create more of a value proposition around community. And the impetus was really creating a space for self-service content. 04:37 Allison Leahy: As the business goals for the Fitbit customer community have always been, provide members with a space to engage with each other, to talk about their experience with Fitbit products and services, to share solutions and to motivate each other to hit their weight loss goals or start a new fitness regime, whatever it may be. And to really meet those goals, we understood that we had to make this content public and searchable. But of course, getting there was that extra hurdle. So I’m really appreciative of all the time we got in that first year and a half with our community, getting to know our members, getting to know what they wanted, getting to know how they would participate and behave in the community and take those learnings. And then try to keep that sense of community while promoting and then representing the community to a broader audience. Interestingly, in all of that preparation and forecasting for the unknown essentially, we did just about double our community moderation team size. And in the interim time between training the moderation team and actually opening our doors, we got to do a lot of other types of initiatives and engagement initiatives with our community that we didn’t previously have the bandwidth for. So, that was also a great experience. 06:00 Allison Leahy: Some of those initiatives looked like higher touch engagement essentially, a stronger welcoming and onboarding strategy, and more private messaging, and greater attention to our community and product ideation programs as well. But we definitely did take our time leading up to that November 11th relaunch date. And from the technical side, there wasn’t a ton to do except sort of change our member roles and positioning and our SSO as well, so that we could authenticate members in the background and try to understand or still know who was maybe a Fitbit user, who was an anonymous visitor, and collect that awareness and understanding. I’d say one of the biggest impacts that we sort of had a feeling or a sense about but weren’t really sure what it would look like was what that would do to our registration rates. And although our traffic tripled, our registration rates were cut in half about, which is actually pretty interesting if you think about it in terms of how much qualified traffic we’re getting, that that might drop so severely. And as a result, a lot of people are still consuming content, but not as many are then converting to engage. 07:12 Allison Leahy: And with the 300% traffic increase, we saw about a 2X increase in actual content creation as well. So right now, we’re actually at a steady state and I say that because we’ve been able to maintain sort of similar member behavior and similar traffic patterns for the past two months. So we’re reaching our new steady state which is really exciting to see exactly what this open community, what level it’s brought us to today. Definitely, just so many learnings from opening this community up. And I think from where I’m sitting, it’s been a really, really rewarding process, but also just incredible to see now how many new customers who were maybe part of the holiday shoppers and receiving their first Fitbit are actually able to now see the community and visit the community where they might not have found it previously. So we are starting to see contacts in some of our other channels from customers who are really appreciating the community, but who are actually, again, in that sort of lurker/visitor state, where they’re not quite registered members yet. So I think it’s presenting us with what we see as our next challenge which will be really converting those visits into active users. 08:29 Patrick O’Keefe: And when you say the registration rate decreased, you’re talking about the number of visits to the page versus the number of registrations that convert, not the actual total number itself? 08:39 Patrick O’Keefe: Like you have more visitors now, but you have a lower rate of registration because people don’t have to register simply to view. 08:46 Allison Leahy: Yes, exactly. I guess to clarify, so when we launched the community in December of 2013, we launched it in a way so that you actually not only did you have to be a Fitbit user, you did actually have to register for your unique Fitbit community user name. And then about a month later, we dropped that requirement, so you only needed a Fitbit account to view the forums and there were three onboarding points. So we had, if you were logged into Fitbit.com on your dashboard, you’d see a community drop down and the option to visit the community. If you were in the mobile app and you had a tracker paired, you could go to your account link and then you would see the tracker forum in your language and you could drop into the community there. And then if you were on our help site as well, we promoted the community from our help site. So there were three real points of entry. And after that initial change to only requiring a Fitbit login, then we learned and we lived with that for about two years before making these final changes to open the community up to almost as open a state as it can be. There’s still a few perks we give to users who do have registered Fitbit accounts; just additional access to things like our product ideation board. 10:10 Patrick O’Keefe: Now, when you made that transition from private to public, did you have any concerns about taking content that had been private and then putting it out there in the public? Or were you met with any resistance? 11:40 Allison Leahy: So, most people really, really got it and were excited to see these changes made as well. So, always, from the very beginning, we did have the supposition that any content you do share with the community will be public. And so there were no issues in terms of liability. People knew that they were posting in a public space, and that it was intended to be public. So no concerns really on that front, but of course, definitely interested to hear how the community would react, if this was something they wanted, and just had an overwhelming outpour of support and excitement for those changes. 12:21 Patrick O’Keefe: That’s always nice. [laughter] It’s a lot easier to get things done when you’ve got 95% of people in favor of something that you wanna do, so that’s great. I had Jay Baer on the show a couple of months ago, and he just authored a great book about customer service called Hug Your Haters. In it, he says that, “The idea of call deflection used by many large companies to justify the cost of robust social media customer service programs is a myth. Customers use of public channels has skyrocketed, of course, but the growth in the total number of interactions has essentially eliminated the presumed financial advantage of answering customers in less expensive digital places.” His point is really that many companies don’t unify the data. One person may send them a tweet, call them on the phone, post in their forums, and it’s all the same person, but they don’t know that it’s the same person because they don’t unify the data. In which case, that’s not so much call deflection as much as it is call accumulation. I know that case deflection is a big metric for you at Fitbit. So I was curious, how do you go about insuring that your actually achieving deflection? 13:18 Allison Leahy: That is a great question. And I’m very much looking forward to a point some time in the future where we can get that sort of hallelujah, unified customer profile. Very difficult to do when you have different identities across different channels. And we do use a single sign on with the Fitbit community, so we have greater insights into our community user behavior and contacts. Of course, some of our community members and customers do contact our support center with multiple e-mails. You can’t always consolidate or reconcile that data. 14:00 Patrick O’Keefe: That’s a great point. You must be farther ahead than a lot of companies because of how Fitbit works as a device, right? You’re connecting to this Fitbit account, and then you’re probably encouraging them to connect to Facebook, and connect to Twitter, and connect to these other platforms. Then you probably know their e-mail, and you might know their phone number, so you probably have a really good data set, at least more so than a lot of companies. 14:17 Allison Leahy: Completely, we have a huge advantage being a connected device and individuals compelled to use their real identity on our service as well. The Fitbit friend network and families, people do want to present themselves as themselves, which makes it easier in the community, but also it does make it easier to unify and understand that whole customer lifecycle as well. Whereas, if we sold a toaster, probably it can be a lot more challenging. 14:49 Patrick O’Keefe: Unless it was a smart toaster, mind you. If it was a smart toaster, just maybe… No. 14:54 Allison Leahy: I don’t use a toaster enough, but could definitely use a smart toaster. [chuckle] But Jay is absolutely, he’s not wrong with that, I think even though we do have an advantage, there are individuals who are very eager to get a response, so they will tweet us. And then in their tweet, they’ll say, “And I posted on your community.” Or in their support case, they’ll mention that they posted on the community. One of the things we have done, and this is actually one of the studies we did early on, which was really compelling to me, and actually something I almost didn’t even expect, but we looked at essentially two things. We took the unique ID, so in this case, let’s just call it the e-mail of the customer, and essentially on a timeline, would plot out when did they contact support. And if they joined the community, what their contact rate to our traditional support channels was after that date. 15:44 Allison Leahy: And there was actually one individual who contacted our support center multiple times a month, and then when the community launched, joined the community, and only contacted the support center once after that when he was having trouble resetting his password. So if you take that example, which is extremely successful and not the norm, but if you take that example, you can see that community there actually did absorb a lot of engagement. And they’re a prime example of somebody who really just wants an outlet to talk about their experience with the product, and ask maybe some of those more technically complicated questions actually that are even difficult for a support center to answer, but potentially, not so difficult for your engineering or tech savvy community members to answer. We haven’t run that study in a while, but that is something we are able to do essentially, so look at volume of contacts to the support center versus engagement on the community and volume of contacts to the support center after the community registration event occurs. 16:48 Patrick O’Keefe: And you mentioned to me that you’re working on a community to CRM connector that will enable you to escalate community posts into support cases. And I have to believe that that will help with those efforts as well. 16:58 Allison Leahy: Yes, one of the things we’re really interested in is making the community the first point of contact for a customer. So there are a lot of benefits to this, and I think number one is our community members. I mean there’s the whole phenomenon of word of mouth. And what we really pride ourselves on in the Fitbit community is creating an environment where people not only feel free to express themselves and be vulnerable with whatever their challenge is with the technology, or their challenges with meeting their health and wellness goals might be, but also provide them with enough instruction to get them going on their way. And so that type of safe space becomes a known entity, so you kind of know the experience you’re going to get when you visit the community versus maybe you’re not so sure if the answer you get from a support center might be the right one for you, or this whole owner’s troubleshooting series, so we wanna cut that out. And we have a great support center, so I wouldn’t necessarily… If people want to contact our support center, I definitely encourage them do so. 18:04 Patrick O’Keefe: You’re not saying, like, “Don’t contact there, that’s a bunch of bozos over there.” [chuckle] No, that’s not what you’re saying at all. Because when you mentioned that and I wasn’t thinking this of Fitbit, but there is this sort of revulsion, is that a word? [chuckle] There is this sort of dislike of call centers and calling support. Not just with, let’s say millennials, which is my generation, but with just people of all ages where call support is outsourced. And they don’t think they’ll get a good quality response, or they’ll have to wait on hold. So it’s interesting how a community can kind of take that dynamic of people already kinda, sorta disliking call support, even though your call center is awesome. And then instead, directing them to the community where they might be more naturally inclined to go. 18:42 Allison Leahy: Yep, and what we can do then with something like a CRM connector is, say that person does come into the community. Maybe they’re coming into the community for the first time and they’ve got actually what turns out to be or what the symptoms indicate to be something like a hardware failure. So this is not a problem that the community could actually resolve. Our moderation team can then identify those issues and provide them with a warm transfer to the support center where they can provide further, deeper investigation into the tracker performance or validate that this individual is… This product is still under warranty and they may be able to get a warranty replacement that way. So when the customer experiences something like a warm transfer, rather than what is still happening today in our community, is a recommendation to contact support directly. 19:40 Allison Leahy: That’s not really a good experience, because then they have to actually bounce out of community and go fill out a contact form. What we really don’t want to have happen is then, now that they’ve gone to fill out this contact form, the next time an issue happens, they just go straight to the contact form because they’re concerned that maybe their issue can’t be resolved by the community. So as a result by providing the warm contact through a CRM connector and maybe a faster resolution to their inquiry, as well as additional contacts for the back channel support agents to really properly handle their case the first time, we miss the opportunity to create that lasting behavior change and really champion the community as the first line of support. 20:25 Patrick O’Keefe: So we talked about case deflection, which you have 25 different defined KPIs around growth, engagement, membership, and content. What are some of the big ones, the ones that you really, that you love, that you rely on to tell the story of community value? 20:40 Allison Leahy: That’s a great question. I think one of the things we’re looking at more now than ever before and this is partially because we have over two years of data as a community, we’re really looking at membership types. So I think it’s pretty standard in community to think of members as passive or engaged, or lurkers. We actually break that down a lot further into buckets where something like a content creator who has logged in every month for the past three months and authored at least one topic, at least one reply, and at least one accepted solution which essentially means that they’ve authored a reply that has helped a community member solve an issue they were facing. 21:26 Allison Leahy: That type of individual is a very valuable community member and a rare unicorn in community. So we wanna track that type of member over time and see if we’re growing and really engaged in long-term membership. And that’s just one type of that longer-term member. So we look at the content creators active and engaged and then active and engaged visitors or members as well against the active members who just kinda visit once in a while, and then visitors. And this is one of those type of studies that helps us to prove out the theory of longer-lasting behavior change. So if a member who joined in early 2014 is still logging in and contributing content in early 2016, that’s really our goal. And so we wanna see that type of behavior change. And I think that really proves the value of community right there, because you have people who are long-term engaged members of your community and contributing in positive ways and really creating the foundation, and potentially what really is the voice of Fitbit. If you figure that some of those members who are really engaged in discussing their experience throughout the past two years, that’s a lot of content they might have created and a lot of wisdom, or impressions, or feelings about the product they will have shared. 22:53 Allison Leahy: And then another thing we look at is correlation from the community, back to our product itself. So again, Fitbit trackers are connected devices and majority of people who wear Fitbit trackers, you’re gonna get the best use out of the product if you wear it 24/7 pretty much. You’re tracking your sleep, you might be logging your food, maybe you’re just automatically recognizing your exercises, but you’re wearing it all the time. And then similar to a community, we have that sort of community member retention. So we do also track… And this is something you hear about in other communities as well. But how well do Fitbit community members retain as product users versus non-community users? So we look at that. 23:40 Allison Leahy: And then something that’s interested me a little bit more, especially now that we’re an open community, is the consumption ratio which would be something like page views over unique member visits or page views over unique visits. So just to see kind of how long, how much content people are consuming, if they’re passive ’cause we definitely wanna track the value and the engagement of the content itself as well to people who may not be creating content. 24:09 Patrick O’Keefe: I don’t know, have you pulled the data on device users and tied it to community membership? So for example, the people who post in the community and are more active, are they taking more steps? [laughter] I’m just saying it’s kind of a funny thing because when you think about someone contributing to a community, you think about someone staring at a screen. So is there an invert to that I guess would be what I was wondering. [chuckle] Are they taking less steps than the average member, or more? I don’t know. Kind of a funny data point. 24:33 Allison Leahy: Yeah. That is. We haven’t made that study yet or that correlation, but I am interested to do that now. 24:40 Patrick O’Keefe: I don’t know that there’s much tied to ROI there, it’s more of a humor data point, I think. 25:11 Patrick O’Keefe: Yeah, and that would be funny to see that maybe the people who post in the communities are more active than the average Fitbit user. In which case, I expect this study to be titled, “Forum users found to be healthier than non forum users.” [chuckle] And then that’s what I wanna see in the study. So just title it like that and it’ll get spread all along the internet. 25:31 Patrick O’Keefe: Now, on your community forums, you have a policy where you give the community 24 hours to respond to questions posted unless they would otherwise demand your team’s attention. After 24 hours, you’ll step in and make sure that the member receives the answer they need. It seems like there are pros and cons to this approach. You’re encouraging community growth and engagement, you’re allowing your biggest advocates to stand out. At the same time, we’ve all seen people in forums, even unofficial ones, who get annoyed if they don’t receive a response within a few hours, in which case, they might be a little dissatisfied or maybe even driven to another customer service channel. I was curious, what’s your thought process behind the 24-hour waiting period? 26:10 Allison Leahy: Later, it became a choice. And part of the reason we implemented that actually was to provide our community council and our regular community users who maybe didn’t have as much of an opportunity to find their voice to start answering some of those questions within that first 24 hours. So, there are a lot of very common and “easy to answer” questions on the community that it was very possible that our community team might cherry-pick and just answer those easy ones as they came in. So the thought was that the more challenging content would then filter and there would be a little bit more of a time lapse there, so that it would be obvious that we would need to step in and address that content. Yeah, so it’s nothing too complicated except that we did want to make sure that there was a big bucket of content to draw from for our newer community members who might want the opportunity to get more engaged and share their knowledge. 27:12 Patrick O’Keefe: Right. And you just don’t wanna dominate voice share too much, I guess, at the end of the day and drive people away. 27:17 Allison Leahy: Yeah, absolutely, absolutely. What I don’t wanna see is that latest answers always coming from somebody on the Fitbit team. 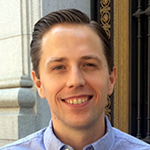 27:25 Patrick O’Keefe: What does the lifecycle of a Fitbit community member look like? 27:28 Allison Leahy: Great question. The majority of community members who register are registering for two reasons, well really three, but we’ll just focus on the first two. One is they have a future request or suggestion that they want to give to our product team. So regardless of which channel you contact us on, if you have a new idea or if you have an idea that has been voiced by another community member, our support team will direct you to the appropriate idea or recommend that you create a new idea. So product ideation and community-led innovation is a pretty top driver, not as high a driver as just that simple question or especially what we see is individuals may be creating content around newer emerging issues. And this is something that I think the community is better at than possibly any other channel. Although, we do get the opportunity to share status updates on Twitter as well, but definitely not in that longer-term engaged way. So for example, we had an interruption to our Facebook integration over the past couple of days and we created a lead topic and let the community know and then as we received contacts on other channels, we invite them to subscribe to that topic. 28:53 Allison Leahy: So that is an instant need from a user to get information and then to be kept in the loop about maybe an issue that is very important to them, but will have resolution in the near future so they just wanna be informed when that issue is resolved. So subscribing to those threads. But then of course, that’s one issue and ideally it won’t repeat. So the majority of community members will just join or visit for those simple reasons and then once they’re satisfied, they’ll leave and then they might come back three or four months later the next time they experience an issue with the product. And the community member lifecycle for our Fitbit community users, I’d say for probably about 80% of people, it looks like that; just coming occasionally to get a question answered or to check in on an issue they’re experiencing or maybe to share an idea they have. 29:43 Patrick O’Keefe: Which is not at all uncommon for support-driven communities. 29:46 Allison Leahy: No, not at all. I mean it is something we’re motivated to explore and we actually have a few initiatives that our moderation team is just sustaining for us. So the community today is divided into the help forums. And then we have the social side of the community, which are our discussion forums. And interestingly, this has shifted over time, but right now, it’s about 90% of the content is on the help side of the forums which includes the community-led innovation section. And then about 10% is on our discussion forums. So that’s where you’ll find discussions around weight loss, around getting fit, around health, nutrition, making the most of your sleep. And although I haven’t dug too deep into this research, but this is something else we’re looking forward to doing is, contrasting the community member lifecycle of a community member who engages majority on the help side versus the discussion side. 30:46 Allison Leahy: And so what we really have encouraged our moderation team to do is start cross-pollinating. So if you have a good experience with a community member who uses a Surge tracker, and from your interaction with them, you understand that they’re training for their first marathon, maybe we know that there are some great discussion over in the discussion side of the community about how to train for a marathon. So we’ll just link them to it and make it a little bit easier for those users to discover that content and find other reasons to come back to the community. When I first launched the community, we did seed it with some founding members and some great content. And some of our most popular discussion threads were really almost like community user groups where people had bound together and over a shared experience. Usually, it was something like women in their 50s staying fit and there was this incredibly long 70-page discussion thread for those users. 31:49 Allison Leahy: So we do have a small pocket, probably 5-10% of community users who are really 100% in it for that, to get their social needs met and to build relationships with like-minded people, or discover content that they’re interested in. And I think that’s incredibly fertile ground for the community today. And so while our focus and some of the business goals are mostly around support and providing a great experience for our users, I think a lot of what we can build on that is really in the social space for the community. So we’ll be working to improve that content discovery and create longer-term member engagement through some of those social elements as well. 32:34 Patrick O’Keefe: Allison, thank you so much for coming on the show. 32:36 Allison Leahy: Thank you, Patrick. Really exciting conversation. Love to talk with you about some of our KPIs and the transition from private to public. Definitely been a wonderful few years here at Fitbit, and I would invite all of your listeners to come check out our community at community.fitbit.com. 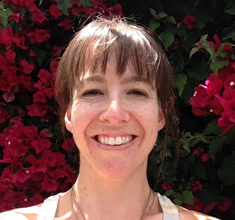 32:56 Patrick O’Keefe: We have been talking with Allison Leahy, the director of community at Fitbit. Check out the Fitbit community at community.fitbit.com. Follow their Twitter-based support efforts @FitbitSupport and you can also follow Allison @zapleahy, that’s Z-A-P-L-E-A-H-Y. For the transcript from this episode plus highlights and links that we mentioned, please visit communitysignal.com. You can find me on Twitter @patrickokeefe. Community Signal is produced by Karn Broad. Until next week.